Travelling home from a recent weekend break to Liverpool, I was flicking through Harper's Bazaar when I came across the most amazing notebook I'd ever laid eyes on (no, I'm not exaggerating!). Introducing 'Noodoll', the brainchild of author and designer YiYing Wang. Created during her time at Central St Martins, London, Noodoll offers stationery for big kids (and little ones too) as well as other amazing products such as toys and greetings cards. It was the fashion range that first caught my eye, a collaboration with Clifford Richards. Imagine a stylishly cool pocket-sized sketchbook featuring Gabrielle Chanel, or Vivienne Westwood and priced at just £5 each, I went to town and ordered both! Ordered Sunday and in my hand by Tuesday was pretty impressive service! 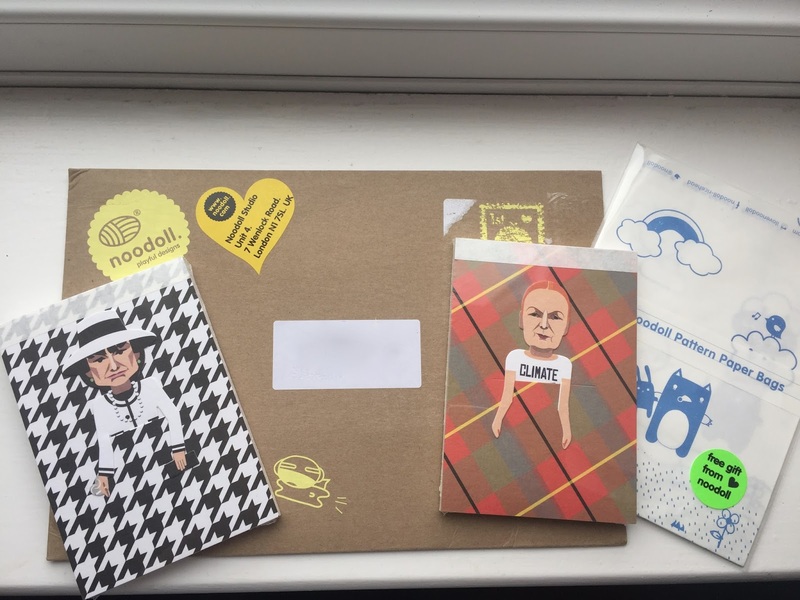 I was also over the moon to receive some cute little Noodoll paper bags as a free gift! Everything is so cutely packaged, with some of the Noodoll characters even being featured on the envelope! There's nothing better than the delivery of a pretty envelope; it certainly beats a bill coming through the post! Both Gabrielle and Vivienne are removable too, so they can be used as a little bookmark for your sketchbook or elsewhere. I think the likeness of them has been captured perfectly-it's such a fun idea for a product. 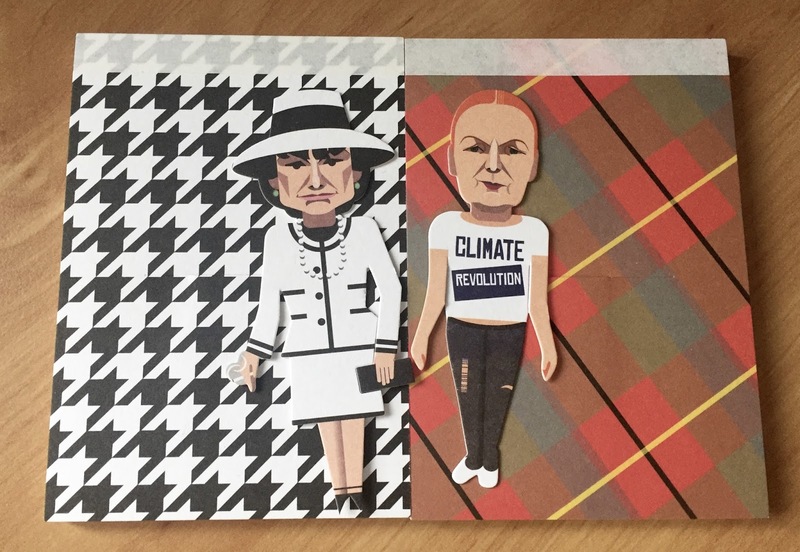 There are lots of other sketchbooks to choose from in this range too, including artists such as Andy Warhol and Grayson Perry and other fashion legends like Twiggy, Karl Lagerfeld and Anna Wintour. I'm so glad I discovered Noodoll, I don't think you're ever too old for fun stationery and what better way to celebrate that than with a couple of pint-sized designers! You can check out the full Noodoll range here, let me know which is your favourite!